Doctors and patients share the same goal: quality healthcare. Even with electronic medical records, physicians are often overwhelmed with paperwork. But their goal is the same as yours: quality healthcare. At Better Health Advisors, we are healthcare insiders. We partner effectively with you and your medical team, because we understand and respect the complexity of the system and can speak clinicians’ language in a professional manner. If you are ready for an advocate that works with all sides to achieve a positive outcome, call us at (646) 883-9717 or email john@betterhealthadvisors.com. - There are two separate hospital bills. Most physicians are not employed by hospitals. This means you will receive at least two bills after your hospital stay: one from the hospital and one (or more!) from your provider(s). Make sure both accept your insurance before you are admitted. - Your anesthesiologist or NICU doctor might not take your insurance, even if the hospital does. Hospitals sometimes contract with groups of specialty physicians—like anesthesiologists in the operating room or neonatologists in the NICU—but don’t require these groups to accept all insurance plans accepted by the hospital. If you get a total hip replacement, you might get a bill from the anesthesiologist that is not covered by your insurance, even though your insurance company is in network with both the hospital and your surgeon. - Hospitals lose money if you are readmitted within 30 days.New rules and payment models from the federal government (and increasingly from commercial insurance companies) mean that hospitals are penalized financially if you are readmitted for the same diagnosis within 30 days of discharge. - You can stay overnight in the hospital without being admitted. Many hospitals have “observation” beds where they keep patients who need monitoring but not full inpatient care. This can get tricky for seniors: if you are sent to a nursing home for rehabilitation following your hospital stay, Medicare will only pay if you were admittedto the hospital. Observation doesn’t count. - Many hospitals have VIP floors. When Beyonce gave birth at Lenox Hill Hospital in New York, she was not on the same floor as the rest of the maternity patients. Hospitals have VIP floors, but they are not always filled. Ask about them prior to admission. - You have a right to see your medical record. A rich source of data and information about your health can be found right in your medical record. You can ask to see your medical record by New York State law. Ask for a copy of your record before you leave the hospital, because it is harder once you leave. - You can take notes during discharge. Leaving the hospital can be disorienting. There are often several next steps, including appointments and medications. Even if you understand at the time, it is a good idea to leave with a written discharge plan to which you can refer back. Ask the nurse to write everything down, or ask for pen and paper so you can take your own notes. - You can find out safety and quality information from the federal government.Medicare’s Hospital Compare summarizes up to 57 measures of “quality”—i.e., how effective was your care?—such as death rates for heart attack patients, the rate of surgical site infections, and patient experience. The U.S. News and World Report hospital rankings are far less useful (even if they are more user friendly) in determining where you should go for care. 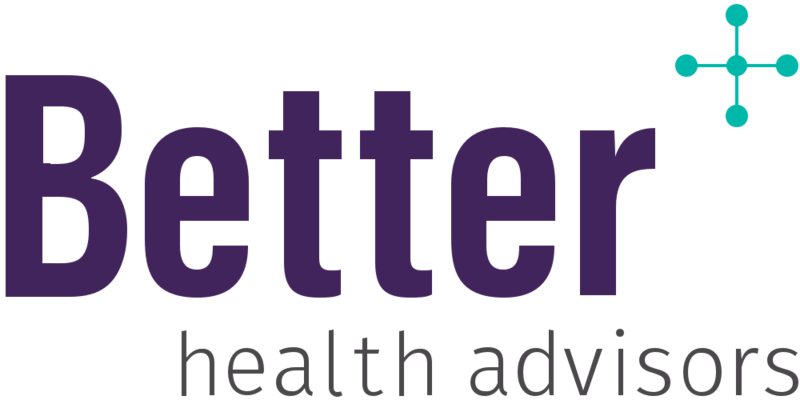 With over 20 years of healthcare experience, Better Health Advisors provides advice and support to people of all ages and health conditions. Our core values include discretion, seamless service, personalization, access, and attention to detail. To learn more about what Better can do for you, your family, or your company, explore our website, or contact us at info@betterhealthadvisors.com. If you know someone who is facing a healthcare challenge, please give them my private number (646) 883-9717. Let us help you achieve and maintain Better Health.